Philippus (Flip) was a son of Salomon Zaligman and Martha Wijnberg; he was born at Dwingeloo on 21 September 1893. Martha died in 1899 and the widower married her sister Henderjetta in 1901. In 1902 their son Salomon was born. They also had a stillborn child Marcus. So Philippus and Salomon were step brothers. Philippus was married to Heintje Levie Wilda, who was one of the five children of Levie Jonas Wilda and Hendrika Stern. She was born on 10 May 1894. 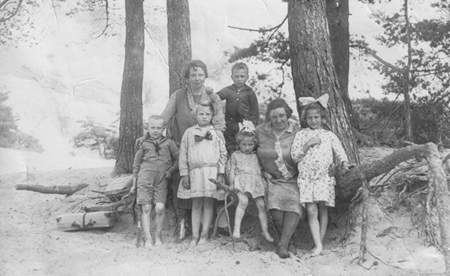 Philippus and Heintje had three children: Martha (1920), Levie (1921) and Hendrika (1925). The Zaligman family had a drapery at Diever; quite a big two-storied shop. They lived behind the shop. Mrs. Zaligman-Wilda (sitting in front) with her daughters Martha and Hendrika. Son Levie standing behind them. The family were fairly well-off. They also had a house at Wapse, which they let. They also had a piano, a sign of prosperity in those days. They were the only Jewish family at Diever. They had religious contacts with the Jewish community at Beilen. On Wednesday afternoon the Jewish kids from the area, including Levie and Hendrika and maybe Martha before them, came together at hotel Blok at Dieverbrug, where they had lessons in Hebrew. They also kept to the Jewish food laws. Levie did not always like that, because he very much wanted to try a piece of bacon, which he never got at home. 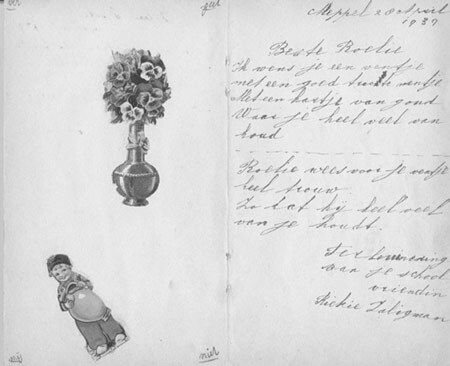 Hendrika Zaligman wrote a poem in her friend Roelie Keizer’s album. That the family was integrated at Diever is clearly shown by the fact that Philip/Flip was a member of the gymnastic club and Heintje of the Country Women’s Club. I often think back of those days and feel sad. She was my best friend and I often stayed with her at Diever, where they lived. Martha always came to school by bike, in all weathers. She was one of the three children of a strictly orthodox Jewish family. They were very hospitable and I always enjoyed staying with them. The food was excellent; they never ate pork, however. They had clothes shops both at Diever and in Meppel. Hendrika (Rieky) Zaligman (right) and Lia Roos. Diever has ‘De Toekomst’ (‘The Future’) again. Has settled again in the well-known shop in Hoofdstraat. Large assortment as usual. Good quality and reasonable prices. So everybody goes to DE TOEKOMST. For drapery, confectionary, beds, mattresses and bedsteads etc. In January 1939 the shop burnt down. Philip did not lose courage. Straight after the fire he advertised with the slogan: ‘In a fire and out of the fire, business goes on.’ This can not have lasted long, for in 1940 the family moved to 7 Noordeinde in Meppel, where they moved into a grand mansion, from where they must have continued the business until this was made impossible. Son Levie followed in his father’s footsteps and became a draper himself. We do not know what happened to Hendrika; in 1941 she was no longer at school nor did she have a job. 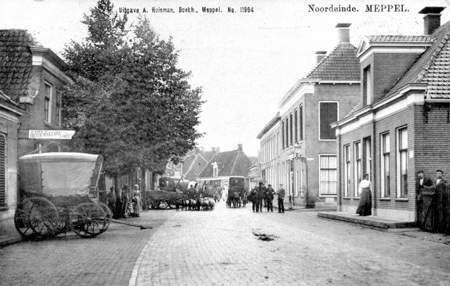 Martha left Meppel before the war and was employed by a German-Jewish family in Amsterdam. The family was well-off, for they had a servant girl Alida Rebekka Frank. During the war the Zaligman family suffered the same indignities as most other Jewish families. In 1941 things were not too bad yet, but in 1941 problems began. In January all Jews had to register, which was the basis of all the evil things that were to follow. Gradually Philip and his family were isolated, robbed and intimidated. They had to hand in their wireless sets, the shop should be closed on Sundays, some parts of Meppel were even forbidden for them and the occupier began to lay his hands on their property. The main blow came on 1 November 1941, when they were forbidden to continue their business. Their license was withdrawn and all their goods were taken away after they had been listed. In order to earn some money Philip sold teaspoons made of coins. 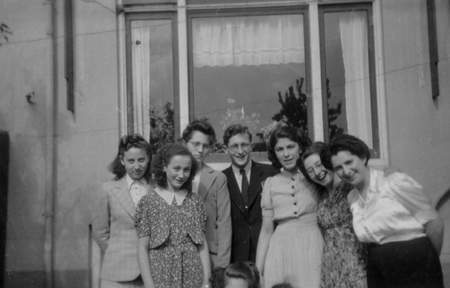 Photo taken in 1942 at the back of the Zaligman home in Noordeinde. From left to right: Martha Zaligman, Hendrika Zaligman, Lia Roos, Eddy Roos, (?) Sonja van de Rhoer and Ali Wolf. In 1942 there were further humiliations. They were no longer allowed to drive, they could no longer sell furniture and other household goods, they had to wear the yellow star, by the second Liro-regulation more money and valuable goods came into the hands of the Germans, they had to hand in their bicycles and traveling was made nearly impossible. They were no longer allowed to go to market and shopping was confined to two hours a day (of course in the late afternoon, when most things were sold out. Telephoning was also forbidden. 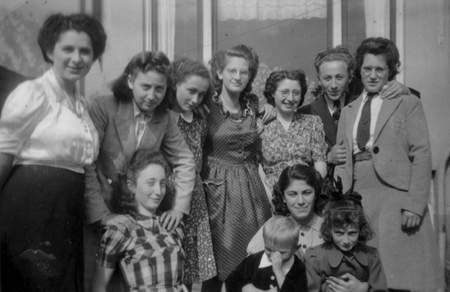 Photo taken in 1942 at the back of the Zaligman home in Noordeinde. Back row from left to right: Ali Wolf, Martha Zaligman, Hendrika Zaligman, (?) Sonja van de Rhoer, Levie Zaligman, and Lia Roos. Front row from left to right: Henderjetta Zaligman, Rudi Roos (?) and Miena Zaligman. After the shop of the Zaligman family had burnt down, they moved to Meppel. Every now and then Philip came to Diever to sell his goods. He had his bike and merchandise with him on the bus. He would stay for three days in the area. We lived at Wapse and he often left his suitcases at our farm for the night. He went back to Meppel to sleep and would return the next morning. One day in the beginning of the summer of 1942 he told my mother to ‘take as many things as you need from the suitcases. Leave a few things in them. I will have to leave soon and I don’t think I will ever return.’ My mother could not find it in her heart to do this. A week later truck driver Strik came to fetch the suitcases. We have never heard anything about them. Later on we realized why. When I heard that Levie and the other boys were taken to Germany (as I thought then), I immediately went to the Nederlandsche Bank to get some German money for them. I managed to give it to them. I also remember that Mrs. Zaligman was so desperate when she heard that Levie had to go, that she was literally tearing her hair. Levie went steady with Lia Roos. That started during the dancing lessons given by Flip Frank to Jewish children at his home on Zuideinde. One day Lia said to me: ‘I am in love with Levie. Will you tell him I want to go out with him?’ This I did and so the affair started. Levie would never see his family back. 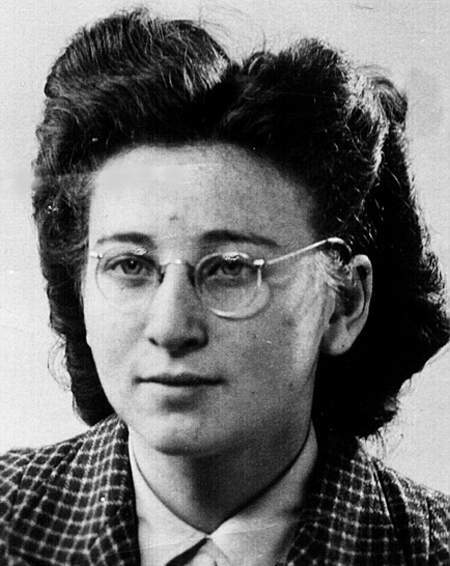 One day after his arrival at Linde he was taken to Westerbork. On 24 August he was deported to Auschwitz and on 28 February he died all alone in a work camp in Schöppinitz in Poland. Mother Heintje, usually called Henny, stayed behind, disconsolate. Her eldest daughter Martha tried to cheer her mother up. She went to Meppel in disguise, without her yellow star. That night the police came to fetch mother and daughter. Mother had foreseen this and had a suitcase full of clothes and a handbag with securities and photographs ready for the dreadful moment. She took the suitcase with her, but forgot the handbag in the confusion. Martha was not recognized as a Jewess by the Germans because of her blonde hair. They thought she was only staying there. She kept calm and said goodbye to her mother and sister seemingly unmoved but with a bleeding heart, as if they were acquaintances. ‘Goodbye Madam’ she said to her own mother. The house had to be sealed and a policeman asked her if they had to find accommodation for her. She answered: ‘I can find a place myself.’ When they had all gone she took the handbag and hid in the garden behind some currant bushes. A moment later she saw that a light went on in the house. Her mother had come back with a few Germans to get her handbag. Martha saw her mother nervously looking for the bag she had forgotten to take with her. The Germans had allowed her to go back assuming there were valuables in it. It was sheer agony for Martha. She could not hand it back to her mother, for that might have been fatal. The next morning she took the first train back to her place of hiding. At Westerbork Philippus saw his wife, daughter, sister-in-law and nieces back. They could not support each other for long in this desolate place. 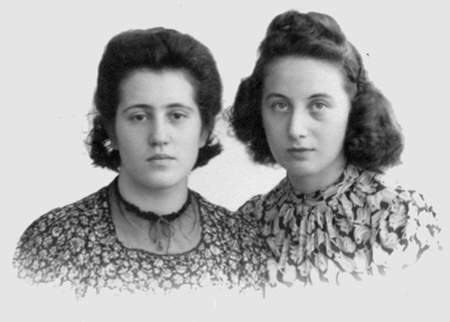 Mother Heintje and daughter Hendrika were transported to Auschwitz two days later and died there on 8 October. The father probably went with them- the Germans were ever so obliging- but he saw his wife and daughters go to the gas chamber without him. He was ‘chosen’ to work for the Germans. He died in Auschwitz on 28 February. Marta had married David Groen. They both survived the war thanks to false papers.